Sudan and South Sudan made monumental progress in recent weeks with the conclusion of a set of agreements on September 27 concerning oil, borders, and security. Despite the great potential these agreements hold for the future of peaceful relations between Sudan and South Sudan, key points of contention remain unaddressed. 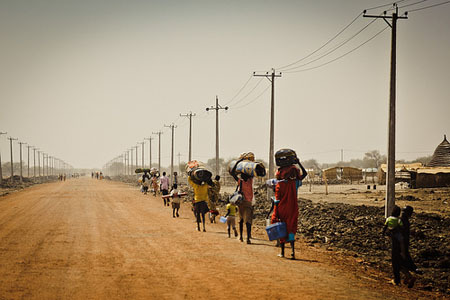 Of the outstanding issues still unresolved between the two countries, the disputed Abyei region remains a flashpoint that must be settled if Sudan and South Sudan are to achieve lasting peace. President Mbeki should present to the A.U. Peace and Security Council the proposal on Abyei that the AUHIP tabled during the September 2012 summit between Presidents Bashir and Kiir. President Mbeki should request the A.U.’s immediate adoption of the proposal as the final and binding agreement on Abyei’s final status and commitment to fully implement the same. As well, President Mbeki should remain resolute on the issue of unfettered humanitarian access into the Sudanese states of South Kordofan and Blue Nile, and request the A.U.’s immediate undertaking of steps to guarantee such access. Finally, President Mbeki should request that the A.U. support direct negotiations between the government of Sudan and the SPLM-North, based on the June 2011 agreement, which are designed to culminate in (a) the conclusion of a comprehensive ceasefire agreement between all militarily active components of the Sudan Revolutionary Front, or SRF, and the government of Sudan; (b) an inclusive, fair, and transparent constitutional process in Sudan; and (c) democratic elections. The A.U. Peace and Security Council should immediately accept President Mbeki’s proposals on Abyei, humanitarian access, and a north-north negotiation process and demand that all relevant parties implement them in due course. The A.U. should, as well, call on the U.N. Security Council to support these efforts and formulate significant measures, which the U.N. will then enforce against any party found not in compliance with any of its obligations under the proposals. The U.N. Security Council should accept the A.U.’s recommendations and immediately outline the measures it will enforce against any non-complying party.